Kerosene, also known as paraffin, lamp oil, and coal oil (an obsolete term), is a combustible hydrocarbon liquid which is derived from petroleum. It is widely used as a fuel in industry as well as households. Its name derives from Greek : κηρός (keros) meaning wax, and was registered as a trademark by Canadian geologist and inventor Abraham Gesner in 1854 before evolving into a genericized trademark. It is sometimes spelled kerosine in scientific and industrial usage. The term kerosene is common in much of Argentina, Australia, Canada, India, New Zealand, and the United States,   while the term paraffin (or a closely related variant) is used in Chile, eastern Africa, South Africa, Norway, and in the United Kingdom. The term lamp oil, or the equivalent in the local languages, is common in the majority of Asia. Liquid paraffin (called mineral oil in the US) is a more viscous and highly refined product which is used as a laxative. Paraffin wax is a waxy solid extracted from petroleum. A fuel is any material that can be made to react with other substances so that it releases energy as heat energy or to be used for work. The concept was originally applied solely to those materials capable of releasing chemical energy but has since also been applied to other sources of heat energy such as nuclear energy. A rocket engine uses stored rocket propellant mass for forming its high-speed propulsive jet. Rocket engines are reaction engines, obtaining thrust in accordance with Newton's third law. 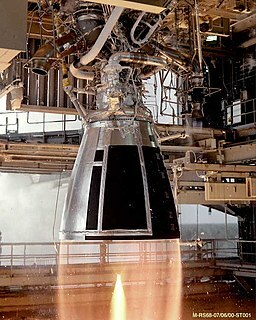 Most rocket engines use combustion, although non-combusting forms also exist. Vehicles propelled by rocket engines are commonly called rockets. Since they need no external material to form their jet, rocket engines can perform in a vacuum and thus can be used to propel spacecraft and ballistic missiles. Diesel fuel in general is any liquid fuel used in diesel engines, whose fuel ignition takes place, without any spark, as a result of compression of the inlet air mixture and then injection of fuel. Diesel engines have found broad use as a result of higher thermodynamic efficiency and thus fuel efficiency. This is particularly noted where diesel engines are run at part-load; as their air supply is not throttled as in a petrol engine, their efficiency still remains very high. Kerosene is a low viscosity, clear liquid formed from hydrocarbons obtained from the fractional distillation of petroleum between 150 and 275 °C (300 and 525 °F), resulting in a mixture with a density of 0.78–0.81 g/cm3 (0.45–0.47 oz/cu in) composed of carbon chains that typically contain between 10 and 16 carbon atoms per molecule. It is miscible in petroleum solvents but immiscible in water. Fractional distillation is the separation of a mixture into its component parts, or fractions. Chemical compounds are separated by heating them to a temperature at which one or more fractions of the mixture will vaporize. It uses distillation to fractionate. Generally the component parts have boiling points that differ by less than 25 °C (77 °F) from each other under a pressure of one atmosphere. If the difference in boiling points is greater than 25 °C, a simple distillation is typically used. 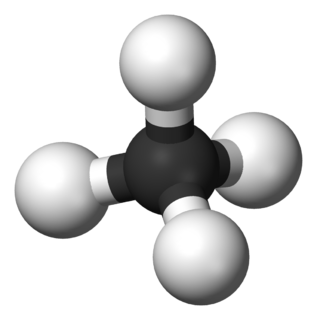 An aromatic hydrocarbon or arene is a hydrocarbon with sigma bonds and delocalized pi electrons between carbon atoms forming a circle. In contrast, aliphatic hydrocarbons lack this delocalization. The term "aromatic" was assigned before the physical mechanism determining aromaticity was discovered; the term was coined as such simply because many of the compounds have a sweet or pleasant odour. The configuration of six carbon atoms in aromatic compounds is known as a benzene ring, after the simplest possible such hydrocarbon, benzene. Aromatic hydrocarbons can be monocyclic (MAH) or polycyclic (PAH). The flash point of kerosene is between 37 and 65 °C (100 and 150 °F), and its autoignition temperature is 220 °C (428 °F). The pour point of kerosene depends on grade, with commercial aviation fuel standardized at −47 °C (−53 °F). Canadian geologist Abraham Pineo Gesner claimed that in 1846, he had given a public demonstration in Charlottetown, Prince Edward Island of a new process he had discovered. [note 1] He heated coal in a retort, and distilled from it a clear, thin fluid that he showed made an excellent lamp fuel. He coined the name "kerosene" for his fuel, a contraction of keroselaion, meaning wax-oil. The cost of extracting kerosene from coal was high. Gesner recalled from his extensive knowledge of New Brunswick's geology a naturally occurring asphaltum called albertite. He was blocked from using it by the New Brunswick coal conglomerate because they had coal extraction rights for the province, and he lost a court case when their experts claimed albertite was a form of coal. In 1854, Gesner moved to Newtown Creek, Long Island, New York. There, he secured backing from a group of businessmen. They formed the North American Gas Light Company, to which he assigned his patents. The petroleum discovery at the Drake Well in western Pennsylvania in 1859 caused a great deal of public excitement and investment drilling in new wells, not only in Pennsylvania, but also in Canada, where petroleum had been discovered at Oil Springs, Ontario in 1858, and southern Poland, where Ignacy Łukasiewicz had been distilling lamp oil from petroleum seeps since 1852. The increased supply of petroleum allowed oil refiners to entirely side-step the oil-from-coal patents of both Young and Gesner, and produce illuminating oil from petroleum without paying royalties to anyone. As a result, the illuminating oil industry in the United States completely switched over to petroleum in the 1860s. The petroleum-based illuminating oil was widely sold as Kerosene, and the trade name soon lost its proprietary status, and became the lower-case generic product "kerosene". Because Gesner’s original Kerosene had been also known as "coal oil," generic kerosene from petroleum was commonly called "coal oil" in some parts of the United States well into the 20th century. As kerosene production increased, whaling declined. The American whaling fleet, which had been steadily growing for 50 years, reached its all-time peak of 199 ships in 1858. By 1860, just two years later, the fleet had dropped to 167 ships. The Civil War cut into American whaling temporarily, but only 105 whaling ships returned to sea in 1866, the first full year of peace, and that number dwindled until only 39 American ships set out to hunt whales in 1876. Kerosene, made first from coal and oil shale, then from petroleum, had largely taken over whaling’s lucrative market in lamp oil. A kerosene lamp is a type of lighting device that uses kerosene as a fuel. Invented by the Polish-Armenian pharmacist Ignacy Łukasiewicz in 1853, kerosene lamps have a wick or mantle as light source, protected by a glass chimney or globe; lamps may be used on a table, or hand-held lanterns may be used for portable lighting. Like oil lamps, they are useful for lighting without electricity, such as in regions without rural electrification, in electrified areas during power outages, at campsites, and on boats. There are three types of kerosene lamp: flat-wick, central-draught, and mantle lamp. Kerosene lanterns meant for portable use have a flat wick and are made in dead-flame, hot-blast, and cold-blast variants. Abraham Pineo Gesner, ONB was a Canadian physician and geologist who invented kerosene. Gesner was born in Cornwallis, Nova Scotia and lived much of his life in Saint John, New Brunswick. He died in Halifax, Nova Scotia. He was an influential figure in the development of the study of Canadian geology and natural history. Liquefied petroleum gas or liquid petroleum gas, also referred to as simply propane or butane, are flammable mixtures of hydrocarbon gases used as fuel in heating appliances, cooking equipment, and vehicles. RP-1 (alternately, Rocket Propellant-1 or Refined Petroleum-1) is a highly refined form of kerosene outwardly similar to jet fuel, used as rocket fuel. RP-1 has a lower specific impulse than liquid hydrogen (LH2), but is cheaper, stable at room temperature, far less of an explosion hazard, and far denser. RP-1 is significantly more powerful than LH2 by volume. RP-1 also has a fraction of the toxicity and carcinogenic hazards of hydrazine, another room-temperature liquid fuel. Liquid fuels are combustible or energy-generating molecules that can be harnessed to create mechanical energy, usually producing kinetic energy; they also must take the shape of their container. It is the fumes of liquid fuels that are flammable instead of the fluid. Most liquid fuels in widespread use are derived from fossil fuels; however, there are several types, such as hydrogen fuel, ethanol, and biodiesel, which are also categorized as a liquid fuel. Many liquid fuels play a primary role in transportation and the economy. Coal oil is a shale oil obtained from the destructive distillation of cannel coal, mineral wax, or bituminous shale, once used widely for illumination. Catalytic reforming is a chemical process used to convert petroleum refinery naphthas distilled from crude oil into high-octane liquid products called reformates, which are premium blending stocks for high-octane gasoline. The process converts low-octane linear hydrocarbons (paraffins) into branched alkanes (isoparaffins) and cyclic naphthenes, which are then partially dehydrogenated to produce high-octane aromatic hydrocarbons. The dehydrogenation also produces significant amounts of byproduct hydrogen gas, which is fed into other refinery processes such as hydrocracking. A side reaction is hydrogenolysis, which produces light hydrocarbons of lower value, such as methane, ethane, propane and butanes. Petrochemistry is a branch of chemistry that studies the transformation of crude oil (petroleum) and natural gas into useful products or raw materials. These petrochemicals have become an essential part of the chemical industry today. 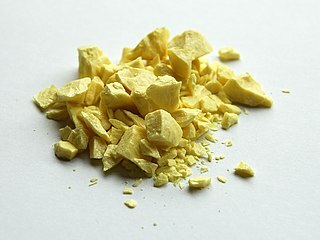 The Karrick process is a low-temperature carbonization (LTC) and pyrolysis process of carbonaceous materials. Although primarily meant for coal carbonization, it also could be used for processing of oil shale, lignite or any carbonaceous materials. These are heated at 450 °C (800 °F) to 700 °C (1,300 °F) in the absence of air to distill out synthetic fuels–unconventional oil and syngas. It could be used for a coal liquefaction as also for a semi-coke production. The process was the work of oil shale technologist Lewis Cass Karrick at the United States Bureau of Mines in the 1920s. The petroleum industry is not of recent origin, but petroleum's current status as the key component of politics, society, and technology has its roots in the early 20th century. The invention of the internal combustion engine was the major influence in the rise in the importance of petroleum. Petroleum refining processes are the chemical engineering processes and other facilities used in petroleum refineries to transform crude oil into useful products such as liquefied petroleum gas (LPG), gasoline or petrol, kerosene, jet fuel, diesel oil and fuel oils. A blowtorch, or blowlamp (UK), is a fuel-burning tool used for applying flame and heat to various applications, usually metalworking. ↑ "Kerosene". Webster's New World College Dictionary. ↑ "Kerosene". Oxford English Dictionary. ↑ Anonymous (August 2006). "Environmental Protection Agency lists new kerosene-labeling rules". National Petroleum News. 98 (9). Retrieved 14 December 2012. ↑ "Kerosene Outboard Motors" . Retrieved 25 October 2011. 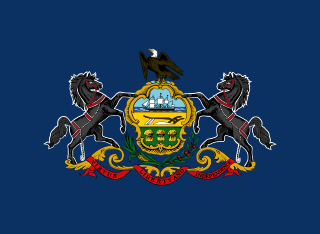 ↑ "Pennsylvania Combustible and Flammable Liquids Act" . Retrieved 28 April 2014. ↑ Collins, Chris (2007). "Implementing Phytoremediation of Petroleum Hydrocarbons". Methods in Biotechnology. Humana Press. 23 (23): 99–108. doi:10.1007/978-1-59745-098-0_8. ISBN 978-1-58829-541-5. ↑ "1301:7-5-10 Fuel for kerosene heaters". Baldwin's Ohio Monthly Record. Banks-Baldwin Law. 2: 1109. 1984. ↑ American Institute of Petroleum (September 2010). "Kerosene/Jet Fuel Assessment Document" (PDF). EPA. p. 8. Archived from the original (PDF) on 28 February 2014. Retrieved 28 October 2016. ↑ "Kerosene" . Retrieved 10 June 2009. ↑ "Ask.com" . Retrieved 14 December 2015. ↑ Annamalai, Kalyan; Ishwar Kanwar Puri (2006). Combustion Science and Engineering. CRC Press. p. 851. ISBN 978-0-8493-2071-2. ↑ Bilkadi, Zayn. "The Oil Weapons". Saudi Aramco World . 46 (1): 20–27. ↑ Feng, Lianyong; Hu, Yan; Hall, Charles A. S; Wang, Jianliang (2013). The Chinese Oil Industry: History and Future. Springer (published 28 November 2012). p. 2. ISBN 978-1441994097. ↑ Chang, Samuel Hsu; Robinson, Paul R. (2006). Practical Advances in Petroleum Processing. 1. Springer. p. 2. ↑ Samuel T. Pees, Whale oil versus the others, Petroleum History Institute, accessed 17 November 2014. 1 2 3 Russell, Loris S. (2003). A Heritage of Light: Lamps and Lighting in the Early Canadian Home. University of Toronto Press. ISBN 978-0-8020-3765-7. ↑ Black, Harry (1997). Canadian Scientists and Inventors. Pembroke Publishers. ISBN 978-1-55138-081-0. ↑ Gesner, Abraham, "Improvement in kerosene burning-fluids," U.S. Patent no.s 11,203 ; 11,204 ; 11,205 (issued: 27 June 1854). ↑ Young, James, "Improvement in making paraffine-oil," U.S. Patent no. 8,833 (issued: 23 March 1852). ↑ Asbury, Herbert (1942). The golden flood: an informal history of America's first oil field. Alfred A. Knopf. p. 35. ↑ World, American Manufacturer and Iron (1901). Greater Pittsburgh and Allegheny County, Past, Present, Future; The Pioneer Oil Refiner. The American Manufacturer and Iron World. ↑ McInnis, Karen. "Kier, Samuel Martin- Bio". biography. The Pennsylvania State University. Retrieved 12 December 2008. ↑ Harper, J. A. (1995). "Samuel Kier – Medicine Man & Refiner". Pennsylvania Geology. Oil Region Alliance of Business, Industry & Tourism. 26 (1). Archived from the original (Excerpt from Yo-Ho-Ho and a Bottle of Unrefined Complex Liquid Hydrocarbons) on 15 March 2012. Retrieved 12 December 2008. ↑ Steil, Tim; Luning, Jim (2002). Fantastic Filling Stations. MBI Publishing. pp. 19–20. ISBN 978-0-7603-1064-9. ↑ Paul Lucier, Scientists & Swindlers (Baltimore: Johns Hopkins, 2008)232–233. ↑ United States Bureau of the Census, 1960, Historical Statistics of the United States, Colonial Times to 1957, p.445. ↑ Harold F. Williamson and others, The American Petroleum Industry: the Age of Energy, 1899–1959 (Evanston, Ill.: Northwestern Univ. Press, 1963) 170, 172, 194, 204. ↑ US EIA, Refinery yield, accessed 29 Nov. 2014. ↑ Cooley, Le Roy Clark (1873). Elements of Chemistry: for Common and High Schools. Scribner, Armstrong. p. 98. ↑ Crew, Benjamin Johnson; Ashburner, Charles Albert (1887). A Practical Treatise on Petroleum. Baird. pp. 395. This reference uses "benzene" in the obsolescent generic sense of a volatile hydrocarbon mixture, now called benzine, petroleum ether, ligroin, or naphtha, rather than the modern meaning of benzene as the specific aromatic hydrocarbon C6H6. ↑ Bettmann, Otto (1974). The Good Old Days – They Were Terrible!. Random House. p. 34. ISBN 978-0-394-70941-3. ↑ "Heating Your Home in Winter: Kerosene Fan Heater". Nagoya International Center. 30 November 2011. ↑ "Additives (KeroKlene and Range Klene)". Craggs Energy. 25 January 2016. Retrieved 30 May 2017. ↑ Lanstove:A lamp that's also a stove. Ibnlive.in.com (2011-02-14). Retrieved on 2015-06-02. ↑ Bradsher, Keith (28 July 2008). "Fuel Subsidies Overseas Take a Toll on U.S." New York Times. ↑ Ibikun, Yinka (25 July 2011). "Nigeria Kerosene Too Expensive For Oil-Rich Country's Poor". Huffington Post. ↑ Baer, Frederick H. (December 1951). "Report from abroad on kerosene-fed cars". Popular Science December 1951. Bonnier Corporation. p. 193. ↑ Banse, Timothy (7 July 2010). "Kerosene Outboards: An Alternative Fuel?". Marine Engine Digest. 1 2 Ebbing, Darrell (3 December 2007). General Chemistry. Cengage Learning. pp. 251–. ISBN 978-1-111-80895-2. ↑ "How a Plan for Bus Fuel Grew Expensive". The New York Times. 25 September 2008. 1 2 3 4 Kerosene: Other uses: Miscellaneous. Oilfielddirectory.com. Retrieved on 2015-06-02. ↑ "S and P Block Elements – Solved Problems for IIT JEE - askIITians". www.askiitians.com. ↑ "Oil atomisation puts a different face on iron alloy powders". Metal Powder Report. 59 (10): 26–06. 2004. doi:10.1016/S0026-0657(04)00279-6. ↑ Guidance on use of rainwater tanks (PDF). Australian Government Department of Health. March 2011. pp. 22, 23. ISBN 978-1-74241-325-9 . Retrieved 16 March 2019. ↑ Levine, Michael D.; Gresham, Chip, III (30 April 2009). "Toxicity, Hydrocarbons". emedicine. Retrieved 1 December 2009. ↑ Mahdi, Awad Hassan (1988). "Kerosene Poisoning in Children in Riyadh". Journal of Tropical Pediatrics. Oxford University Press. 34 (6): 316–318. doi:10.1093/tropej/34.6.316. PMID 3221417 . Retrieved 1 December 2009. Radiological signs of pneumonia were shown in nine out of 27 patients who had chest X-rays. There was one death. ↑ "CDC - NIOSH Pocket Guide to Chemical Hazards - Kerosene". www.cdc.gov. Retrieved 6 November 2015. ↑ In his book of 1861 and its second edition of 1865, Gesner claimed to have demonstrated liquid kerosene – an "oil" – in 1846 during his public lectures on Prince Edward's Island. Wikimedia Commons has media related to Kerosene .